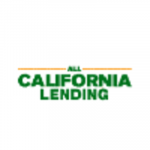 All California Lending provides hard money loans in California. Their rates range from 7%-14%+. They can lend up to a maximum of 75% LTV, and they can close loans in as quick as 3 business days. They have an A+ BBB rating and perfect 5-star ratings on Facebook, Google and Yelp. Work For All California Lending? Claim This Page.